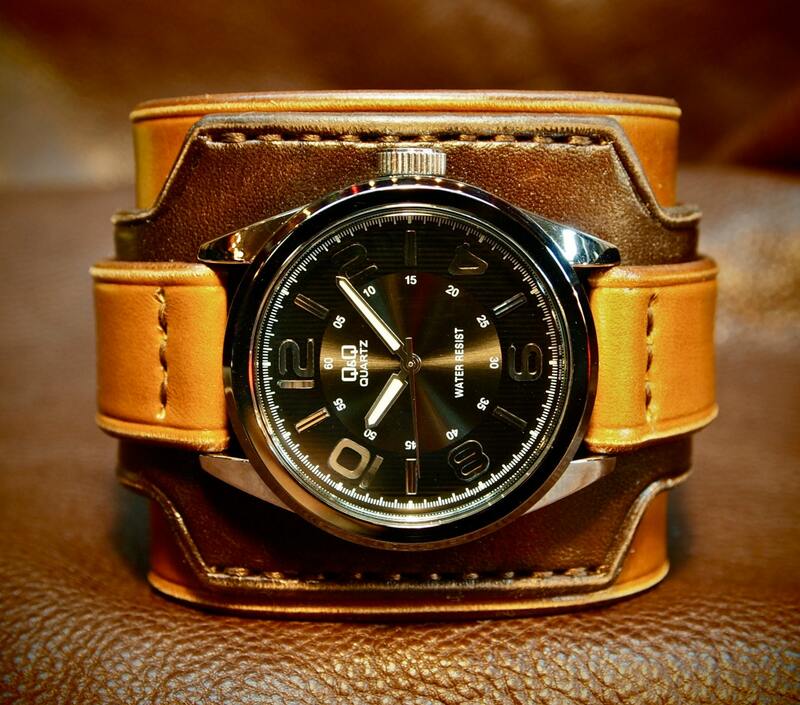 This brown leather cuff watch is made using natural veg tan leather which is dyed two tone brown. 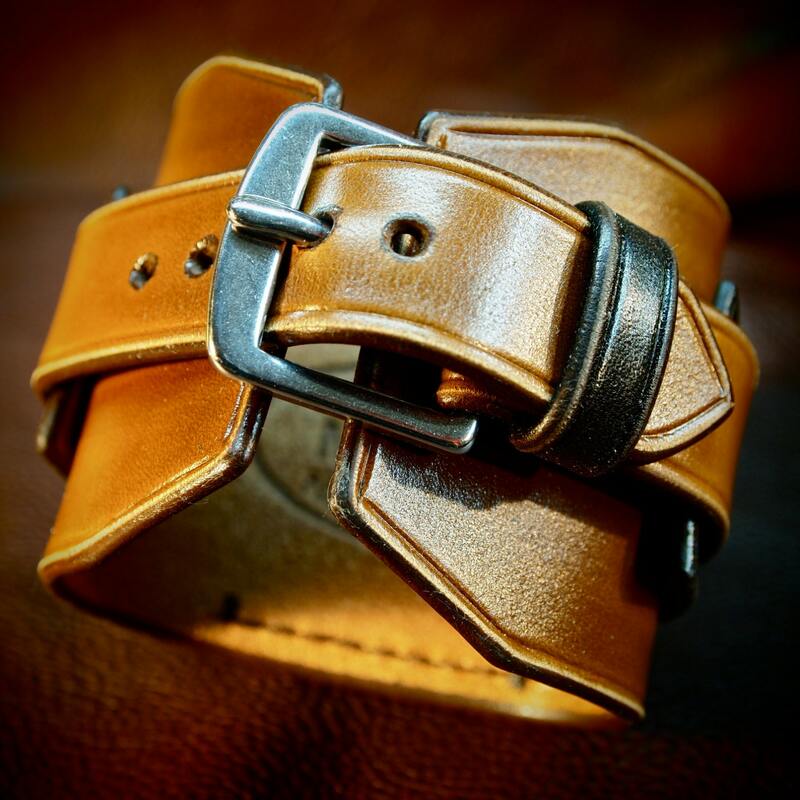 It is hand worked using a host of leatherworking techniques! This is a limited edition watch and won't be available long! 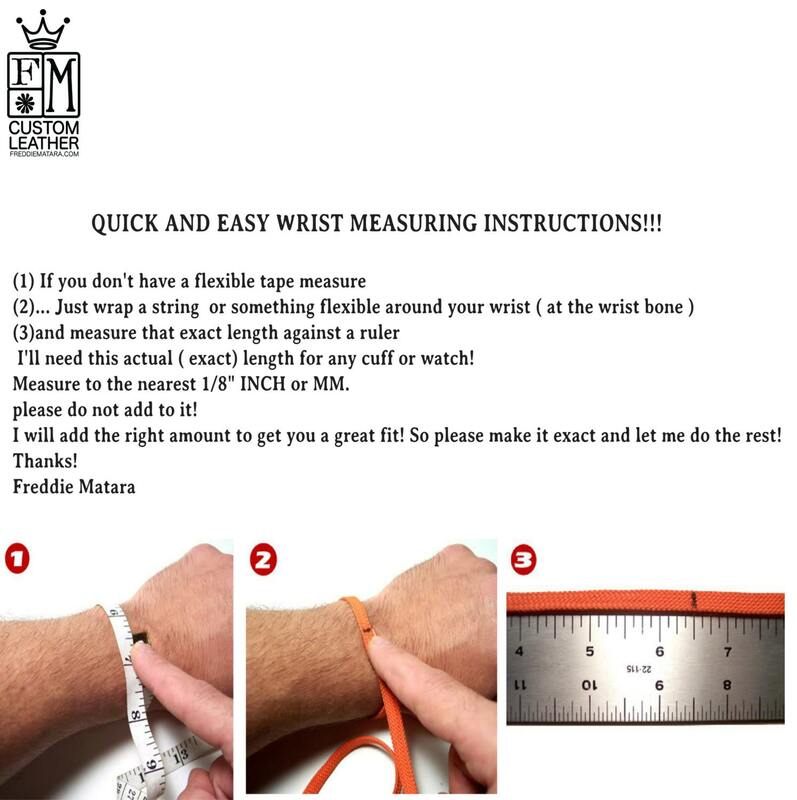 I'll need your wrist size. Please sue the instructions in the above pics! 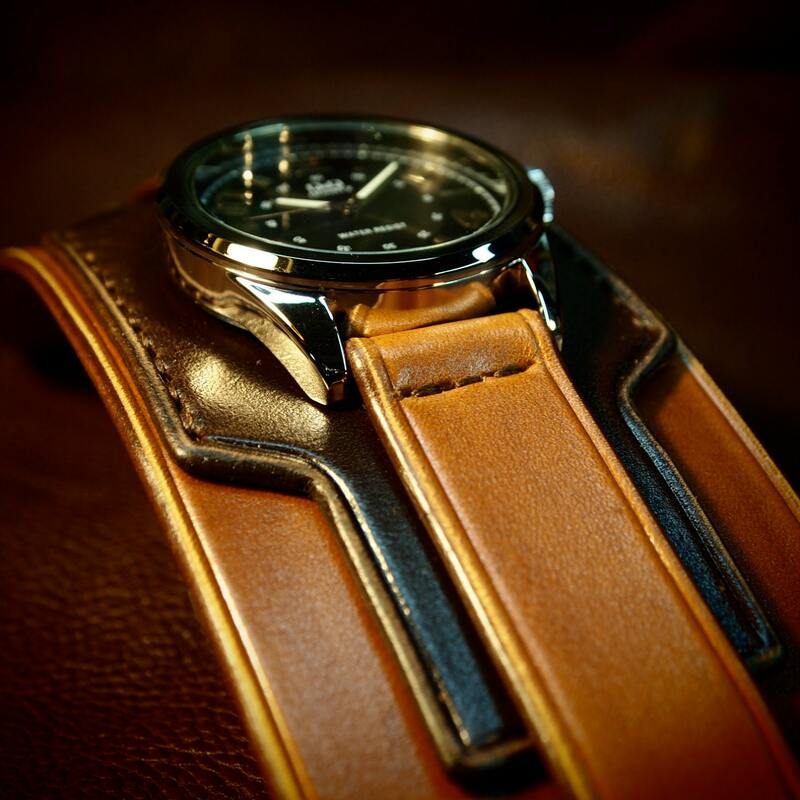 Very nice quality watch cuff! My son loves it; it's just like the watch worn in the Uncharted game. The two tone leather is beautiful and fits perfectly. Thank you very much! Great piece! 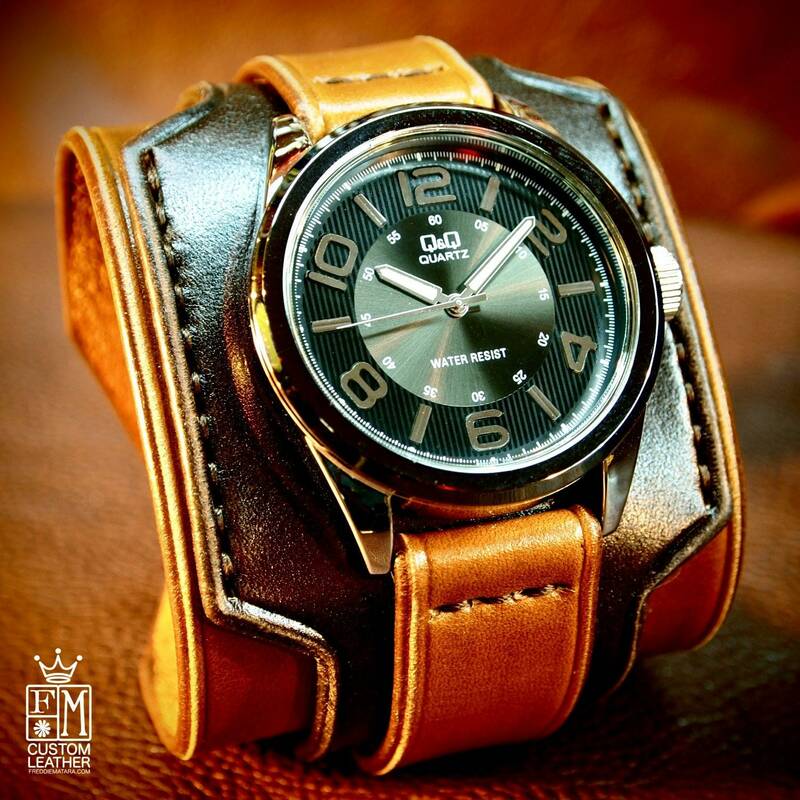 Freddie Matara's attention to detail brings to life this watch inspired by Nathan Drake's character in the PS3 game, "Uncharted 2." This designed appeals to my style as a gamer and fashion. The leather is stiff, but I'll be wearing around the house to help break it in.